A 5:30 a.m. run on the inner city streets of Baltimore is a real accomplishment. But there is more to it. People running together – some with homes and some without – are also testing the connection that running helps eradicate homelessness and paves the way for personal change. Back on My Feet (http://www.backonmyfeet.org/) turns traditional thinking on its head. It isn’t about getting those experiencing homelessness “off the streets”; it is about joining them “on the streets”. Check out the website for this organization’s storybook beginning, its statistically impressive contribution to individual lives, and its expansion to eleven cities in the USA. Pretend that you have ample financial resources and want to commission a portrait of God’s feet…only His feet in the setting, no other body part. Prepare to choose one of the following verses from which to model the picture. Then Moses, Aaron, Nadab, Abihu, and the seventy elders of Israel climbed up the mountain. There they saw the God of Israel. Under his feet there seemed to be a surface of brilliant blue lapis lazuli, as clear as the sky itself. And among the lampstands was someone “like a son of man,” dressed in a robe reaching down to his feet and with a golden sash around his chest. His feet were like bronze glowing in a furnace, and his voice was like the sound of rushing waters. 2. Pause at each verse to get a glimpse of God’s presence. Pay particular attention to His feet in the different scenes. 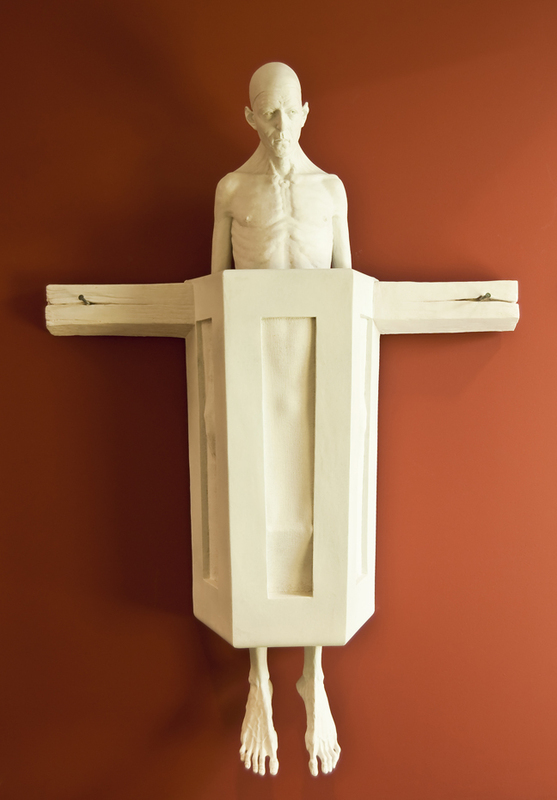 Parts that are difficult to imagine or depict – is the opening in heaven a door? 5. 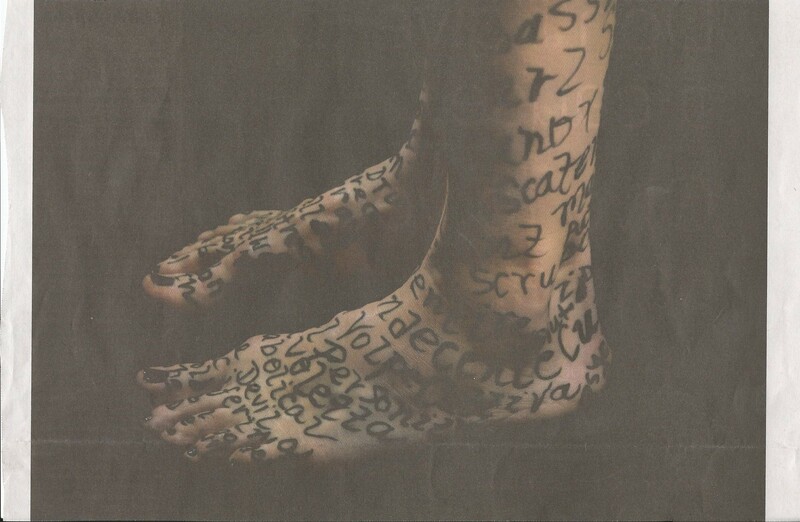 Visualize each verse. What does each one tell you about His feet? 6. Ask the Holy Spirit to put you in each verse and potential picture. Which one draws you closer to God’s feet? 7. Then, step outside that picture and imagine looking at the picture with Jesus. What is He saying to you? Which verse did you choose? 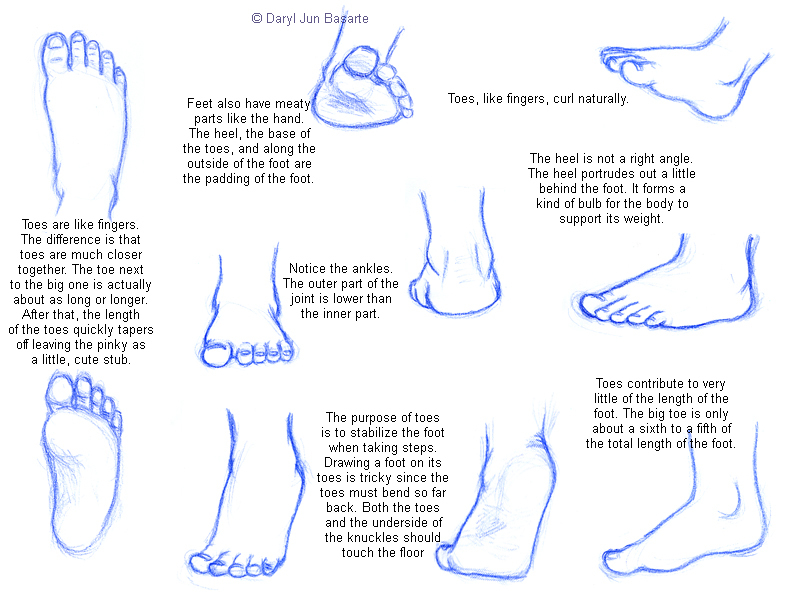 1) Drawing human feet is difficult. Their complex anatomy and rarely ceasing movement make them difficult to capture on paper. Even if there are only two of them. Paleolithic people living more than 10,000 years ago had a better artistic eye than modern painters and sculptures — at least when it came to watching how horses and other four-legged animals move. The travelling public in Atlanta, Georgia passes this artwork installation as they walk to and from gates. 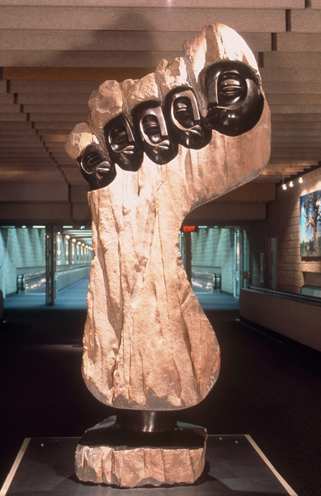 On this gigantic foot statue, the toes represent the faces of family members. The raw chiseled stone of the foot contrasts with the highly polished toes.